Here are the places where you can see the airplanes flying into and out of the Airport up close. 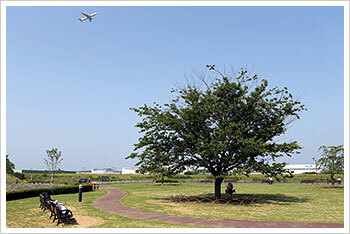 The park is near Narita Airport and you can see airplanes from anywhere in the park. 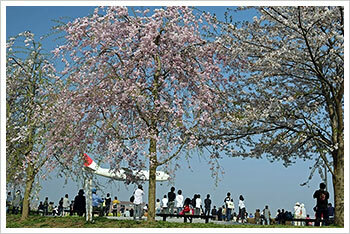 You can also enjoy beautifully blooming cherry blossoms in the cherry blossom season. From no. 3 or no. 4 bus stop at the JR Narita station east exit, take a JR bus bound for either Sanrizuka or Yokaichiba Station and get off at the Hokkezuka stop. It is about a 25-minute walk from the stop. From no. 3 or no. 4 bus stop at the JR Narita station east exit, take a JR bus bound for Youkaichiba Station and get off at the Jutaku Iriguchi stop. It is about a 10-minute walk from the stop. 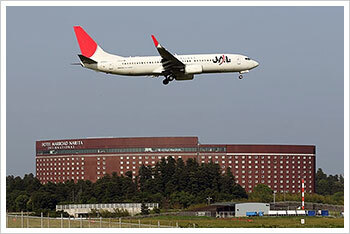 It is located in the north of the Narita Airport runway B. You can see airplanes taking off and landing right beside you from the raised observation deck. From the Keisei Line Narita Station central exit, take a Chibakotsu bus bound for Yoshioka / Sawara Konaguchi Shako and get off at the Shihongi stop. It is close by the stop. 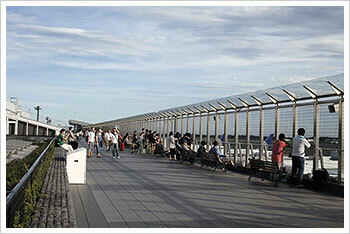 You can enjoy the panoramic view of Narita Airport from the observation room on the 5th floor. 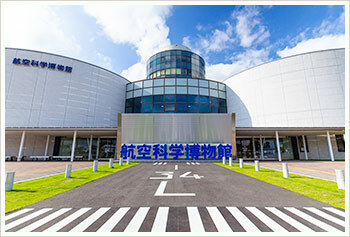 From the Narita Airport Terminal 1 or Terminal 2, take a bus bound for AMB Minami Sanrizuka and get off at the Kouku Kagaku Hakubutsukan (Museum of Aeronautical Sciences) stop. 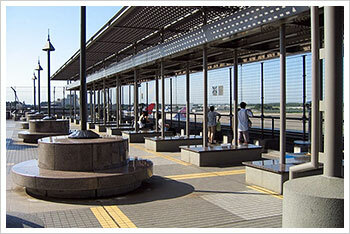 There is a free shuttle bus service from Narita Airport. 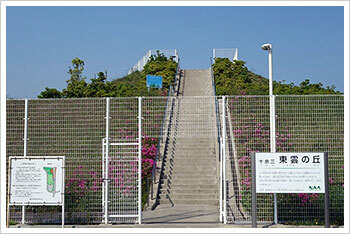 It is about a 20-minute drive from the Narita Airport Terminal 2 station on JR and Keisei Line.